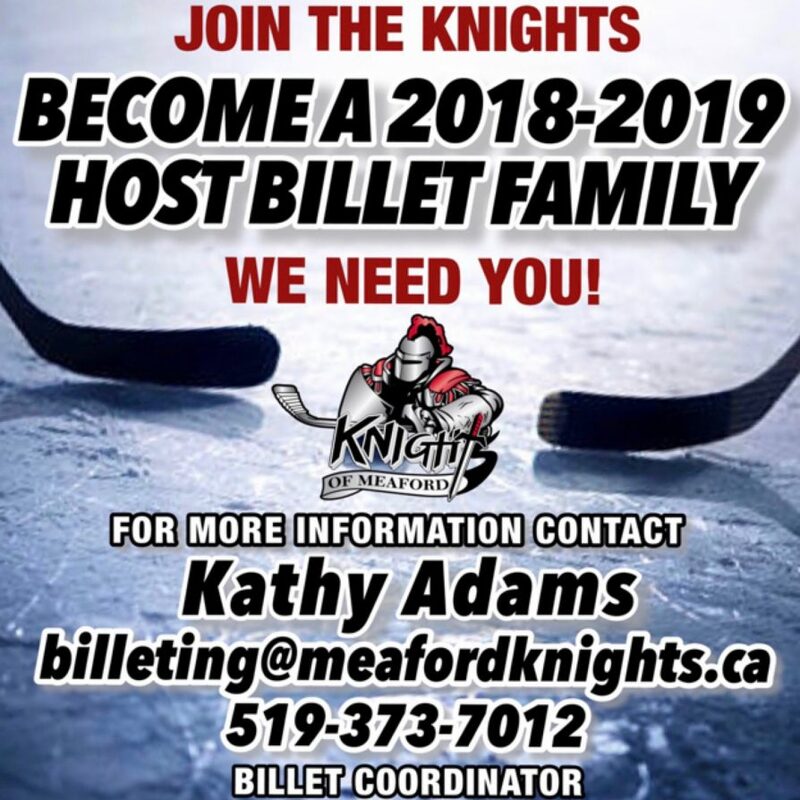 The Knights of Meaford are looking for host families for the 2018 / 2019 season. Billets are crucial in the success of our players both on and off the ice and provide a stable and safe environment for the players to live while they are away from home. Opening the door to a player can be a rewarding experience for both the players and the host families. If you are interested in billeting, please contact our billeting coordinator, Kathy Adams.